Tawai is the word the nomadic hunter-gatherers of borneo use to describe their inner feeling of connection to nature. In this dreamy, philosophical and sociological look at life, explorer Bruce Parry travels the world to learn from people living lives very differently to our own. 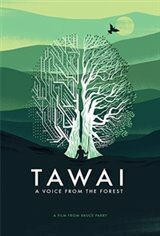 From the jungles of Malaysia to the tributaries of the Amazon, Tawai is a Quest for reconnection, providing a powerful voice from the heart of the forest itself.